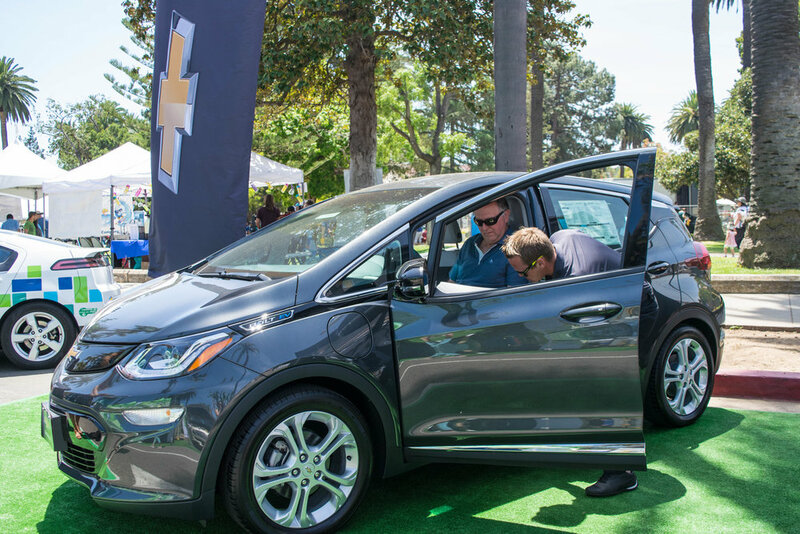 The Santa Barbara Earth Day Festival’s Green Car Show is an annual showcase and test-drive event featuring the largest collection of clean vehicles and new mobility solutions in California’s Central Coast. We provide unparalleled opportunities for meaningful interaction between attendees and the businesses building a cleaner transportation future, leading more residents to adopt cleaner transportation solutions. Test-drive event: Our annual Ride & Drive is the best way for attendees to experience the look, feel, and performance of the latest plug-in electric, hybrid electric, and fuel cell vehicles. Limited number of spaces available. Static Clean Vehicle and Mobility displays: Take part in the largest showcase of clean vehicles and new mobility solutions between Los Angeles and the San Francisco Bay Area. Rebate and Incentives: Get the latest information about California state rebates, the Federal tax credit, and other incentives for clean car buyers. Community Ambassadors: Talk one-on-one with community leaders who have made the transition to clean vehicles to learn how electric and fuel cell vehicles fit in their daily life.